La Bella Arabic Oud 11 String Set LBSOUDA. 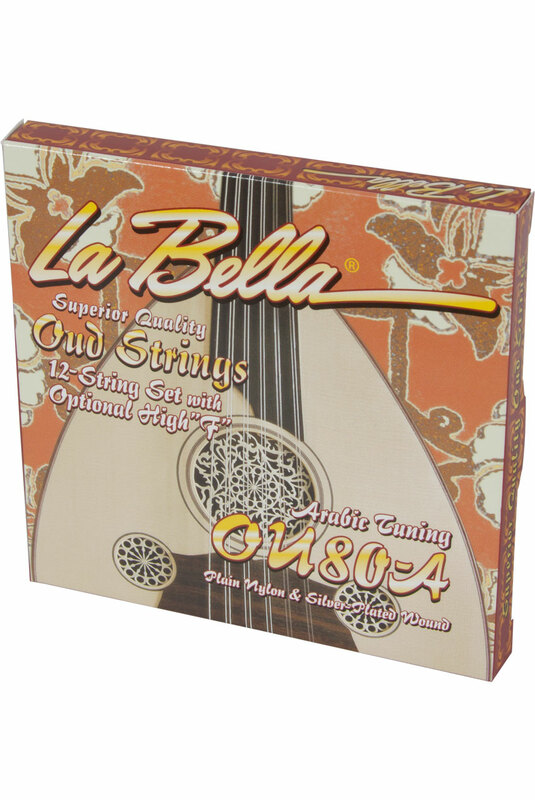 Each La Bella Arabic Tuning string set contains eleven nylon, silver plated, wound strings with an optional high F. La Bella provides a four-step, lab tested, tarnish proof technology on these sets that provides vibrant, and aesthetically pleasing stings. With 11 or 12 strings in 5 or 6 courses, the oud is usually tuned d'd'/aa/ee/BB/AA/G. The Arabian tuning has an optional high course [f'f']cc/gg/DD/AA/EE .